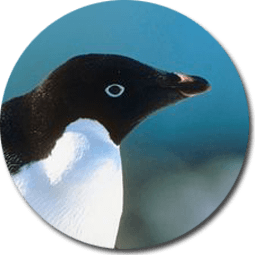 Penguins are flightless aquatic birds living mostly in the southern hemisphere of the Earth, except for a single species which lives near the Equator. Some experts have argued about their classification as birds due to their inability to fly and having stiff flippers instead of soft and flexible wings. However, most scientists believe that those are not the only reason to consider an animal as a bird; features like a beak, plumage or laying eggs and some other anatomical characteristics are determinant to classify them as birds. Nevertheless, penguins are the only family of water birds that cannot fly; most believe that this was part of a natural process of evolution and adaptation to a habitat where there was no need to migrate long distances or flee from many predators. Instead, they evolved to have an improved anatomical design to be agile underwater and regulate their body temperature according to weather conditions of their habitat. Penguin fossils dating back about 60 million years show that they were much larger and heavier than most modern penguins whose descendants date back to three million years ago. The number of recognized species is controversial. 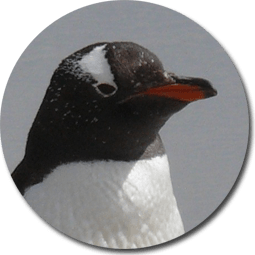 For most scientists, there are 17 types of penguin divided into six genera, but some others classify some species as subspecies or just group them in a different way according to their geographical location. 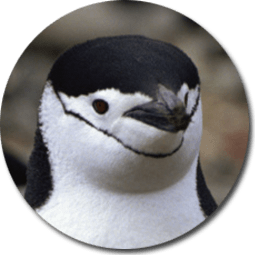 Aptenodytes forsteri, the Emperor penguin, is the largest of all species of penguins, with a height of up to 4 feet; and the Eudyptula minor, the little penguin, is currently the smallest with a maximum height of 1.25 feet. Fossils of primitive species like the Anthropornis genus, which lived millions years ago, have proved that they reached up to 5’7’’ feet tall and weight around 200 lb., the largest ever found. The penguins that inhabit icy regions have rigid waterproof feathers, fat under their skin and a layer of air that keep them thermoregulated to avoid hypothermia; additionally, they are anatomically larger to store more fat, heat, and energy. That is how they manage to submerge into cold waters or withstand the mighty polar winds of their environment. 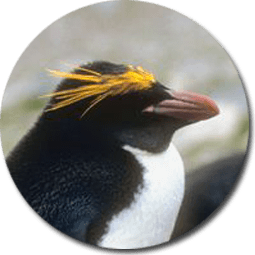 The species that inhabit warmer areas are visibly thinner, due to the lower amount of fat and plumage in their bodies, and they are smaller with less submerging capabilities compared to their Antarctic relatives. A nasal gland excretes the excessive amount of salt introduced into their bodies while they feed in the ocean eliminating the sodium chloride from their bloodstream; otherwise, they could not survive. While most penguins have the unique black and white plumage reminiscent of a tuxedo, some individuals suffer albinism (absence of melanin), and approximately one hundred thousand are isabelline, which means that they have small amounts of melanin, so instead of looking black they look lighter or very light brown. 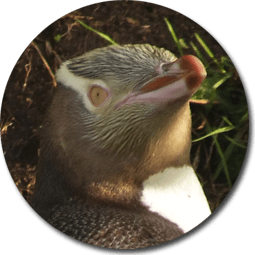 Have you ever wondered why some penguins have pink patches on their faces? 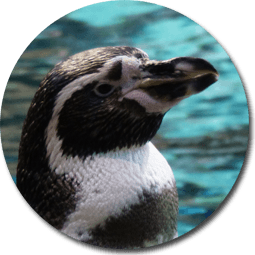 While penguins are well adapted to endure cold temperatures, those living in warm environments, could overheat, but those spots without plumage help them radiate excessive heat and keep them cool. 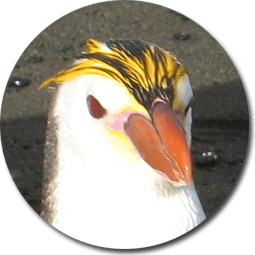 The design of their beak is another adaptation that varies in each species according to the type of food they get. 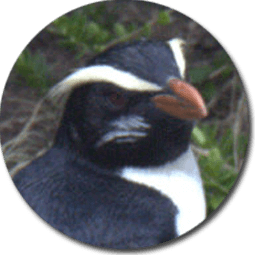 Banded and crested penguins that feed mainly on fish and squid have a beak with a sharp tip in the upper jaw similar to a hook, to hold their prey better. Additionally, all 17 species of penguins have porous tongues equipped with small barbs pointing backward, which help grasp the prey better and prevent it from slipping away. Indeed, penguins are fully adapted to their habitat and its conditions, although they are birds, they possess unique and custom features that help them survive under such conditions. All penguin species feed at sea, regardless the place where they live. Some can dive to a depth of 1,800 feet looking for food and stay underwater for more than 20 minutes. Most of the seventeen species feed on small fish, squid or krill. Penguins spend much of their lives at sea, but they all return to the land to lay their eggs and reproduce. Except for the large species that lay only one egg per clutch, the other fifteen species lay two eggs per clutch, but in every case, the male and the female share parenting duties. Penguins rely on their specialized feathers to resist the cold weather. Besides, they have a layer of air next to their skin, which insulates their body from the freezing temperatures and retains the heat generated by muscular activity in the body. The most abundant species of penguin is the “Macaroni” with an approximate population of 20 to 25 Million individuals while there are only around 1,800 Galapagos penguins left in the wild. Among all 17 species, three of them have an increasing population, three have a stable number, and the remaining 11 have a decreasing tendency. The largest penguin is the Emperor penguin with an average height ranging from 44 to 48 in and the smallest is the little penguin with an average height ranging from 13 to 15 inches. There are 17 penguin species. 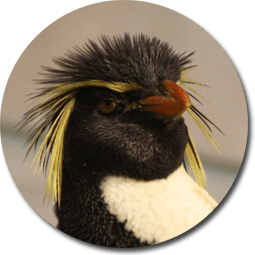 You can find the most common species of penguins like the Emperor Penguin, the Adelie Penguin, the King Penguin, the Galapagos Penguin, the Humboldt Penguin, the Macaroni Penguin, the Little Blue or Fairy Penguin, the Rockhopper Penguin and the African Penguin. 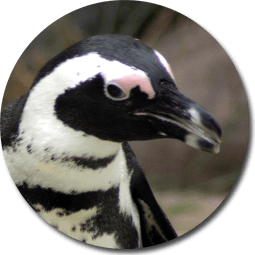 The information provided about penguins in this site, includes an explanation of the Penguin Anatomy, followed by details about the Penguin Reproduction and what do penguins eat?. Penguin communication is basic for its survival in one of the most extremes habitats in the planet. For this, a social structure is also important. 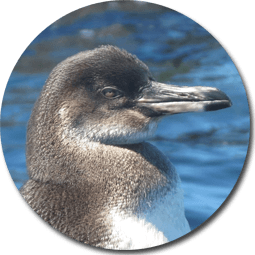 Penguin distribution will show how penguins are located around the globe and how they have evolved besides the main predators that have endangered them. Penguins have been part of human history for a few centuries now, which have inspired great books and films. However the relationship between humans and penguins has a not so pleasant side, which includes ruthless hunting for centuries. 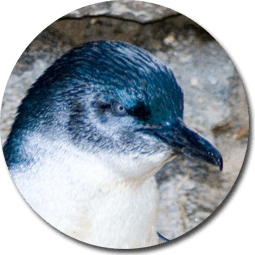 Lately humans have invested in penguin conservation and research as well as popular education through the knowledge provided by penguins in captivity. You can find penguins in every continent, however all known species of penguins live in the southern hemisphere. Where can Penguins be Found in South America? There are 7 of the 17 species of penguins that regularly breed in South America. What Do Penguins Eat ? 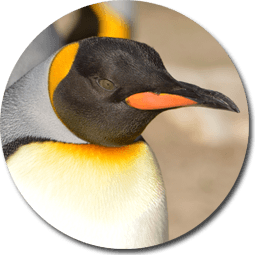 The diet of the King penguins rely mainly in fish and squid and include a small amount of krill and other crustaceans. Why Penguins Can’t Fly ? It is believed that evolution due to the lack of land predators made penguins change their wings for flippers. What are Baby Penguins Like? Baby penguins born completely covered with gray plumage. Penguins vocalizations are identifiable by each individual which allow parents to recognize each other and also their chick. The life expectancy of emperor penguins reach up to 20 years. Penguins have a hearing sense, which although is not as developed as in other marine animals. What do Royal Penguins Eat? The Royal Penguins feed mainly on krill and other prey like small fish, squid, and small crustaceans. 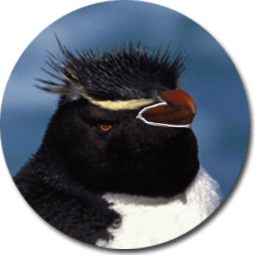 The main threats for penguins in water are leopard seals, fur seals, sea lions, sharks and killer whales. 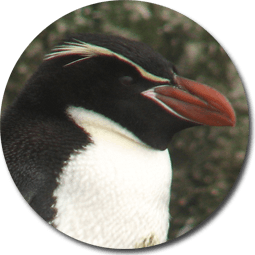 There are 20 recognized species of penguins living, being some subspecies still on debate. How Big are Baby Penguins? 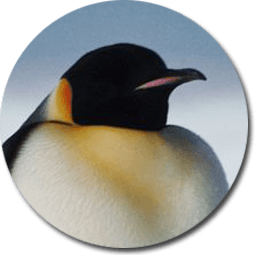 Emperor penguins breeds in the coldest environment of any bird species, where temperature reach as low as -40 C.
Baby penguins are called chicks. Penguins are birds. Penguins have adapted to live in water. 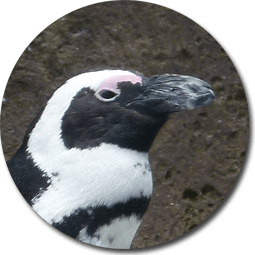 How Long do Galapagos Penguins Live? Galapagos penguins can live up to 15 years. In general penguin lifespan ranges from 15 to 20 years. How to Draw Cartoon Penguins? Penguins are mostly monogamous, however there are some species like the Emperor Penguin which is serially monogamous.